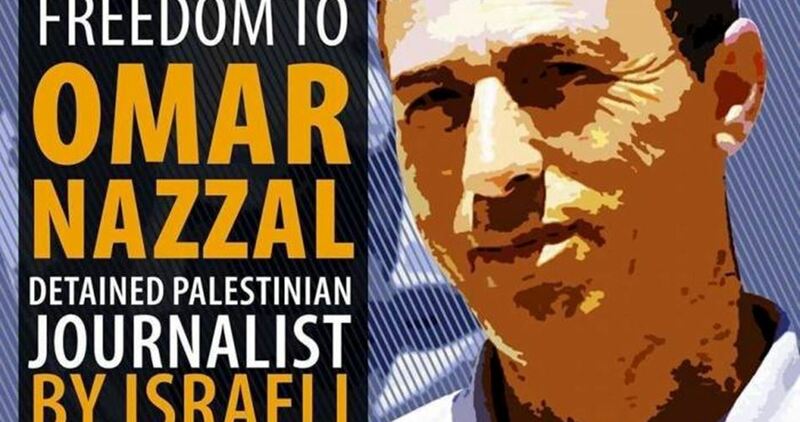 The Israeli Occupation Authorities (IOA) extended Thursday the administrative detention of the journalist Omar Nazzal for two more months. Nazzal was arrested on April 23, 2016 and held since then in administrative detention without charge or trial. The IOA also issued on Thursday 25 administrative orders against Palestinian citizens ranging between two and six months. 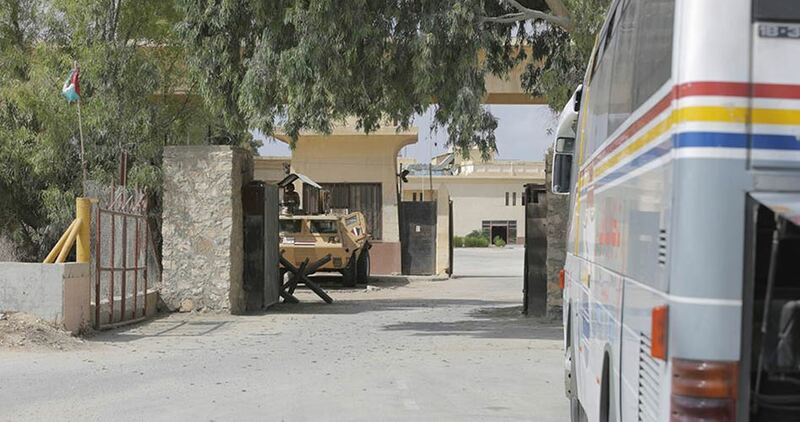 The Egyptian authorities opened Tuesday morning Rafah border crossing to allow a Palestinian media delegation to cross. A media delegation, comprising 31 journalists, is scheduled to arrive in Cairo today to participate in a media workshop about the Palestinian cause organized by the semi-official al-Ahram newspaper. Coordinator of the delegation Mohamed Abu Giyab affirmed that the delegation is expected to remain in Egypt for four days to take part in a workshop about the media role in supporting the Palestinian society. Issues related to the Palestinian-Egyptian relations would also be discussed during the event, he pointed out. The delegation is expected to visit the Egyptian Media City and other media institutions in the country, according to him. He underlined that the four-day visit mainly aims at re-activating the Palestinian-Egyptian relations. 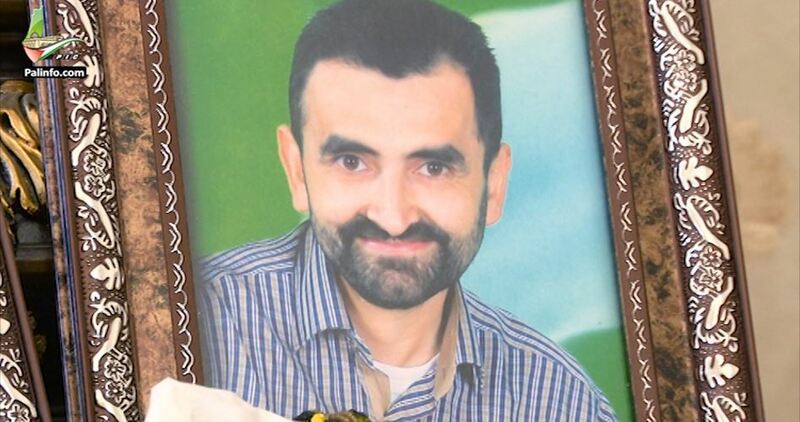 The health condition of the Palestinian prisoner Bassam al-Sayeh, 43, has entered a very critical stage, the Palestinian Prisoner Society (PPS) said. Following his visit to Ramla prison hospital, the PPS lawyer affirmed that the cancer patient al-Sayeh has recently undergone a surgical pacemaker implantation. Al-Sayeh suffers from both bone marrow and blood cell cancer, in addition to serious lung inflammation. He recently became unable to move, the lawyer pointed out. Al-Sayeh, from Nablus, was arrested on Oct. 8, 2015 during a trial for his wife. There are some 1,700 sick Palestinian prisoners in Israeli prisons, including 24 suffering from cancer. Rights groups have widely condemned Israel for its medical negligence of Palestinians in its prisons. According to the Council for European Palestinian Relations (CEPR), poor conditions in Israeli prisons -- that “have become renowned for offering only aspirin for all health treatments” -- have led to the deterioration in the health of a large number of Palestinian prisoners. The Israeli police forces arrested at dawn Saturday a Palestinian young man few hours before his wedding. Head of the Jerusalemite prisoners’ families committee, Amjad Abu Assab, affirmed that the young man Abdul Fatah Fakhouri, 31, was detained after Israeli forces violently broke into his house in the Old City. Earlier on Friday night, Israeli policemen stormed Fakhouri’s house and attacked the participants at the ceremony organized in preparation for the wedding. A photographer and his assistant were arrested during the raid. Fakhouri was taken to Qishleh police station for investigation. The Israeli occupation authorities (IOA) on Wednesday extended the detention of Palestinian journalist Nidhal al-Natsha for five days. 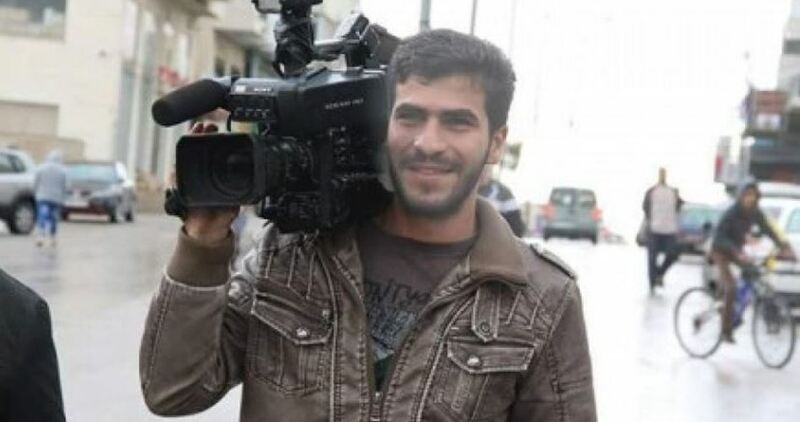 The IOA extended the remand of journalist al-Natsha, held in the Israeli Petah Tikva detention center. The journalist’s brother, Khalil, said the IOA extended his brother’s detention pending further questioning on a reportage he had conducted sometime earlier about force-feeding in Israeli jails. The IOA further justified the decision by resorting to the security file pretext. 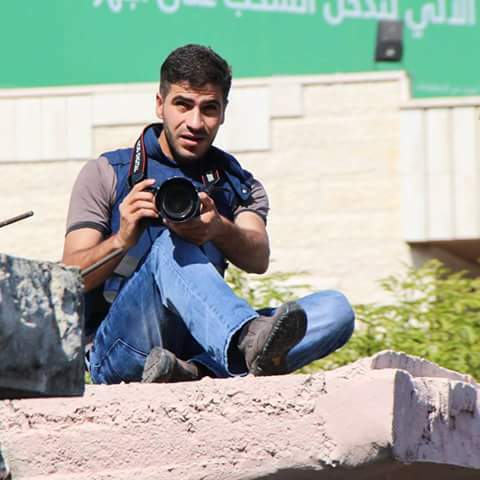 Journalist al-Natsha was kidnapped by the Israeli occupation forces from his own family home some ten days ago. The Israeli occupation authorities decided to acquit journalist Khaled Maali on conditions that he close his Facebook account and pay a steep fine. 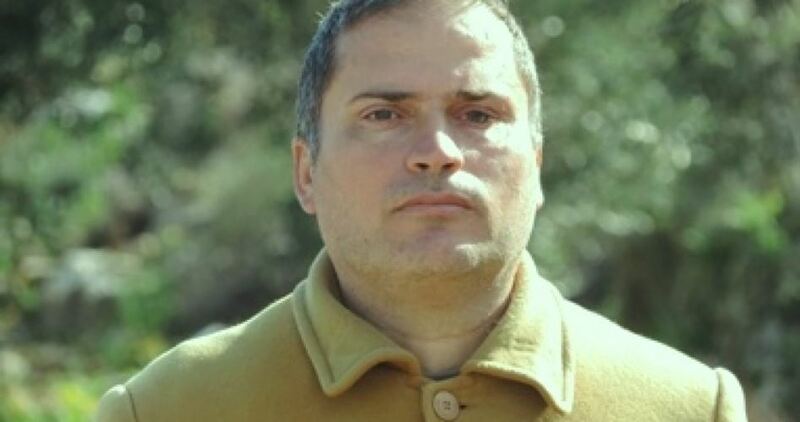 Speaking with PIC, local sources said an Israeli occupation court decided to release 48-year-old researcher Khaled Maali, from Salfit, on conditions that he deactivate his account on social network Facebook, shell out a bail of up to 7,000 shekels, and hand over his laptop. On November 3, the Israeli occupation forces broke into Maali’s family home and wreaked havoc on the building before they arrested him. Journalist Khaled Maali earned a PhD in political media studies from Hague University and an MA in political development from An-Najah University. The Israeli Occupation Forces (IOF) stormed at dawn Wednesday Sabsatia town, north of Nablus, and searched a number of local homes. Local activist Momen Azam affirmed that Israeli forces violently broke into a number of homes in the town and investigated its owners which led to the outbreak of violent clashes. Israeli forces also removed the Palestinian flag raised on an archaeological site in the town under the pretext of being located in Area C.
Along the same line, Israeli forces arrested three young men from Qabatia town, south of Jenin. 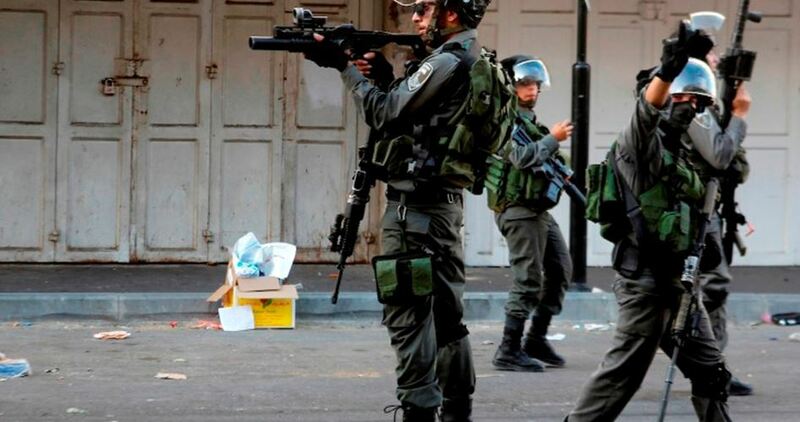 IOF soldiers in ten Israeli military vehicles stormed the town and carried out a search campaign throughout it before arresting three locals from their houses. Raid and search campaigns were also carried out in a number of nearby towns in Jenin. Meanwhile, Israeli forces stormed Aroub and Fawar refugee camps and Shiyoukh and Dura towns in al-Khalil where several youths were detained including a journalist. Israeli forces delivered in Fawar camp leaflets threatening to arrest all Palestinian youths involved in anti-occupation attacks. The detained Palestinian journalist Khaled Maali was transferred to the Israeli Megiddo jail, human rights groups told his family on Sunday evening. The detainee’s son, Quteiba, said human rights sources told them that his father is locked up in the Megiddo prison pending his interrogation. He added that his father’s fate and conditions in the Israeli prison remain unknown. The family voiced deep concern over Khaled’s health status, especially that he has been diagnosed with chronic cardio-vascular diseases and hypertension. Khaled reportedly takes life-saving medicines on a daily basis. 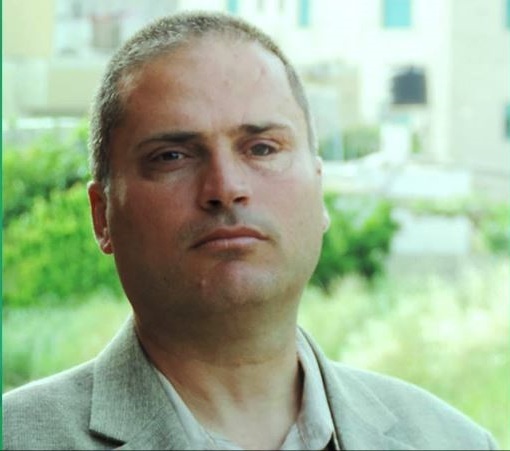 Journalist Khaled Maali earned a PhD in political media studies from The Hague University and an MA in political development from An-Najah University. 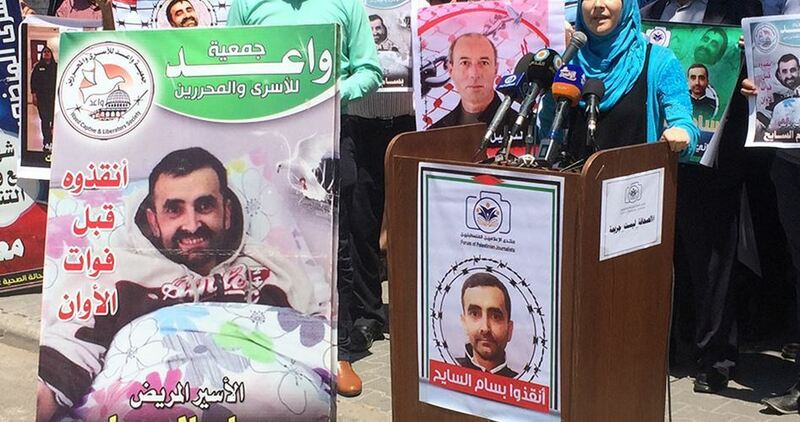 The Palestinian sick prisoner Bassem al-Sayeh has undergone a surgical pacemaker implantation, the Palestinian Prisoners Society (PPS) revealed Thursday evening. According to the sources, al-Sayeh’s health condition is stable after the surgery. Al-Sayeh has undergone the surgery after several appeals were voiced to save his life due to his difficult health situation, the PPS pointed out. It added that the Israeli Prison Service finally accepted the appeals following Dr. Samir Mutawer’s recommendations. Dr. Mutawer was assigned to check on the prisoner's health condition. Several medical tests were conducted prior the surgery according to international medical standards, the PPS stressed. Al-Sayeh, 43, suffers from both cancer and heart disease. He recently became unable to walk. The Palestinian sick prisoner was arrested in October 2015 and is currently held in Ramla prison hospital. His wife Muna al-Sayeh had also served time in Israeli jails.